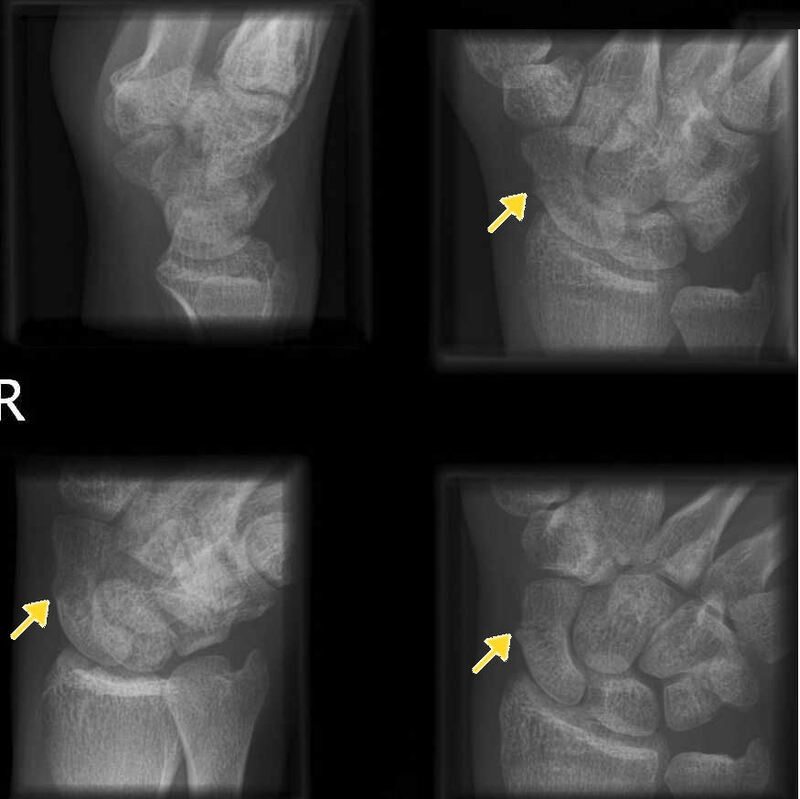 This pathway provides guidance on the imaging of adult patients with a suspected scaphoid fracture. 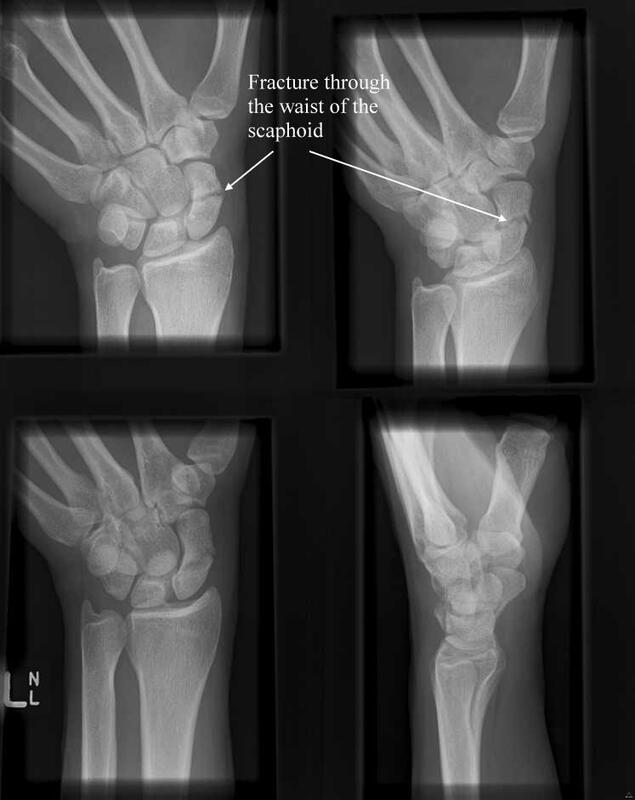 Image 1 (Plain Radiograph): Fracture of the scaphoid bone. 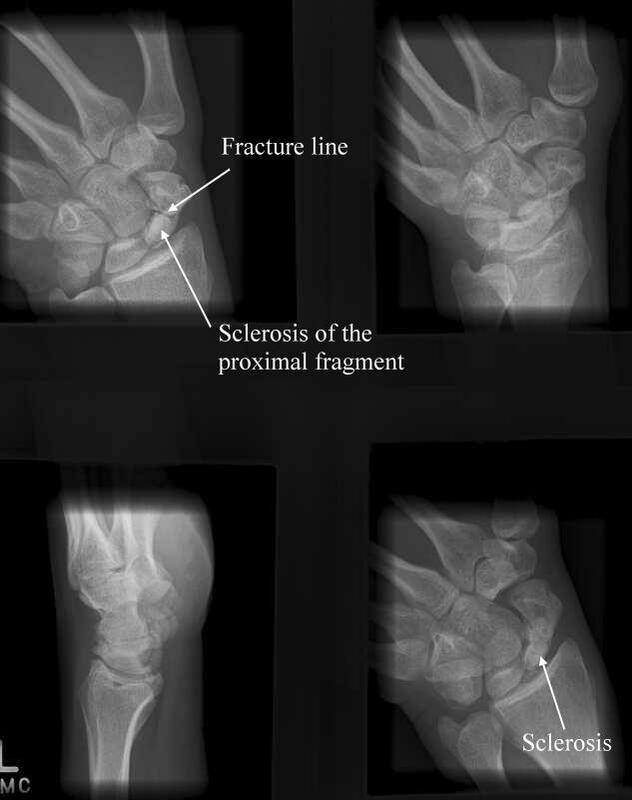 Image 2 (Plain Radiograph): Undisplaced fracture of the scaphoid bone (arrows). Image 3 (Plain Radiograph): Non-union of scaphoid fracture. Note sclerosis at fracture line. 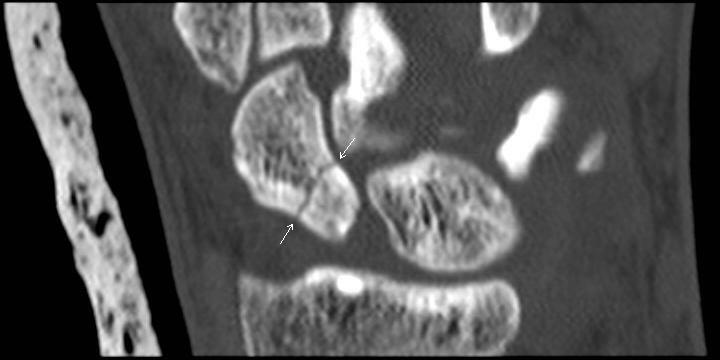 Image 4 (Computed Tomography): Coronal image of the wrist showing fracture though the proximal waist of scaphoid (arrows).